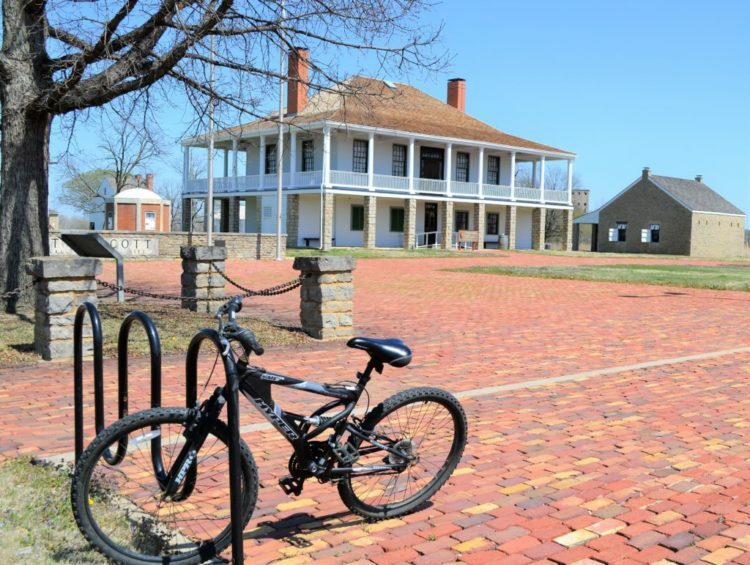 The bike rack at Fort Scott National Historic Site. FORT SCOTT, Kansas: “The family that plays together stays together” is a variation on an old saying about families. If you are looking for a fun and educational activity for your family, then come to join us at Fort Scott National Historic Site for Family Day, a new event that is taking place on Saturday, July 21, 2018! 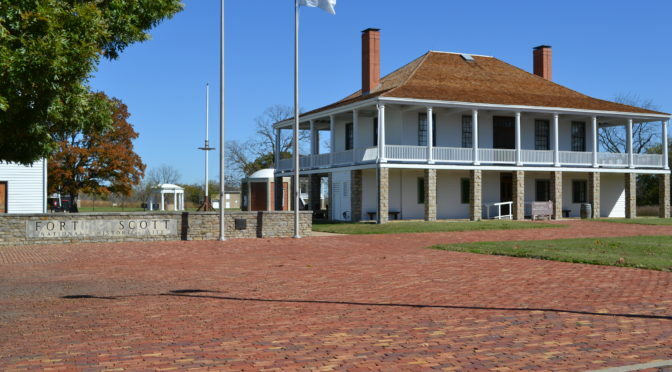 On that day, families can engage in a number of activities that will immerse them in 1840s military life at Fort Scott. In the morning, from 10:00 a.m.-12:00 p.m., three different stations will be ongoing. At a cooking demonstration, visitors will be instructed in food preparation and cooking methods. In a historic garden display, you can work in the garden and help with the harvest. In a third station, visitors will be drilled in the use of 1840s firearms using wooden “dummy guns”. Afternoon activities from 12:30 p.m.-2:00 p.m. will include fun arts and crafts for the family at one station and historic, interactive games and activities for adults and kids at a second station. Family Day activities are being presented by two groups of youth who are working at Fort Scott, the Youth Conservation Corps and the Youth Engagement Team. Both groups consist of high school age students who are gaining experience with the National Park Service this summer. For more information, call 620-223-0310 or visit our website at www.nps.gov/fosc. About the National Park Service. More than 20,000 National Park Service employees care for America’s 417 national parks and work with communities across the nation to help preserve local history and create close-to-home recreational opportunities. Visit us at www.nps.gov, on Facebook www.facebook.com/nationalparkservice, Twitter www.twitter.com/natlparkservice, and YouTubewww.youtube.com/nationalparkservice.